Monarch Air Group provides private air charter in Lexington, KY. Our clients benefit from top-notch service, unrelenting dedication to safety, wide selection of aircraft, and years of experience in chartering private jets. To obtain a free quote, please use our online quoting tool provided below, or call toll free 1-877-281-3051. Monarch Air Group offers private jet charter services to and from Lexington, KY USA. 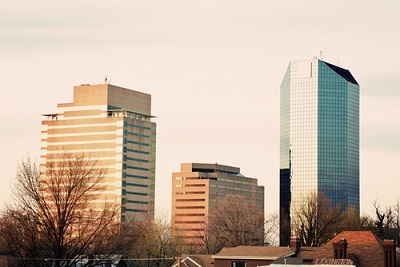 Located in the heart of Kentucky’s Bluegrass Region, Lexington is the second-largest city in Kentucky. It is home to the headquarters of Lexmark International, the University of Kentucky, the Transylvania University, and a prospering thoroughbred horseracing industry. The popular tourist attractions are the Aviation Museum of Kentucky, the Lexington Opera House, the Martin Castle, the Hunt-Morgan House, the Kentucky Horse Park, the Mary Todd Lincoln House, the Martin Luther King Jr. Cultural Center and the Waveland State Historic Site. Having friendly, small-town atmosphere and equestrian history, Lexington attracts tourists from all parts of the world. 1. BRY, Samuels Field, Bardstown, KY, United States. 2. DVK, Diavik, Diavik, Canada. 3. FFT, Capital City, Frankfort, KY, United States. 4. LEX, Blue Grass, Lexington, United States. 5. LOU, Bowman Field Airport, Louisville, United States. 6. LOZ, Corbin-London, London, United States. 7. LSD, Creech AAF, Lexington, United States. 8. SDF, Louisville International (Standiford Field), Louisville, KY, United States. 9. SME, Pulaski County, Somerset, United States. 1. The Inn On Broadway, 1301 S Broadway, Lexington. 2. Holiday Inn Express Hotel Lexington, 1000 Export Street, Lexington. 3. DoubleTree Suites by Hilton Hotel Lexington, 2601 Richmond Road, Lexington. 4. The Inn On Broadway, 1301 S Broadway, Lexington. 5. Ramada, 2143 N Broadway, Lexington. 6. Hilton Suites Lexington Green Hotel, 245 Lexington Green Circle, Lexington. 7. Hilton Suites Lexington Green, 245 Lexington Green Cir, Lexington. 8. Holiday Inn Express Hotel Lexington, 1000 Export Street, Lexington. 9. Crowne Plaza Hotel Lexington-The Campbell House, 1375 S Broadway, Lexington. 10. Holiday Inn Express Hotel Lexington, 1000 Export Street, Lexington.